- Angelic Doctor of the Church. - Patron of students & Catholic Schools. - Feast Day: January 28th. 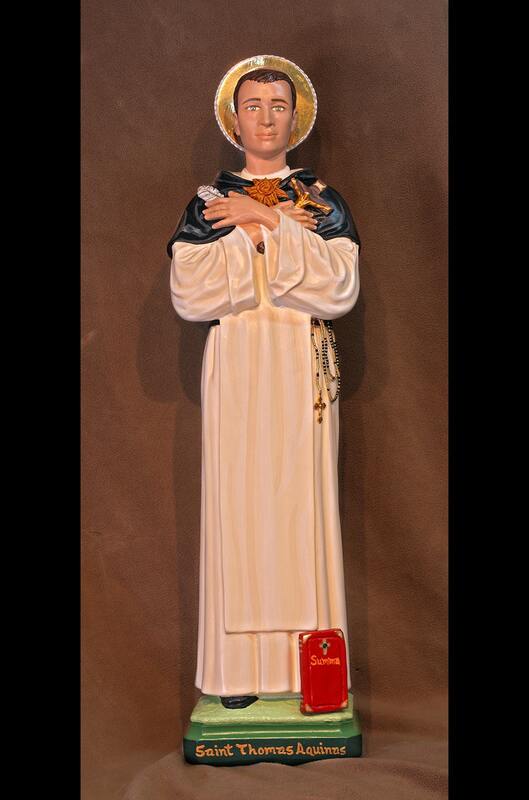 This statue features a magnificent hand painted face and details such as fingernails and eyelashes, hand-made tiny rosary hanging from belt and golden halo. St. Thomas holds his writing quill in hand with his “Summa Theologica” resting at his feet. His classic yellow sunburst adorns his chest. 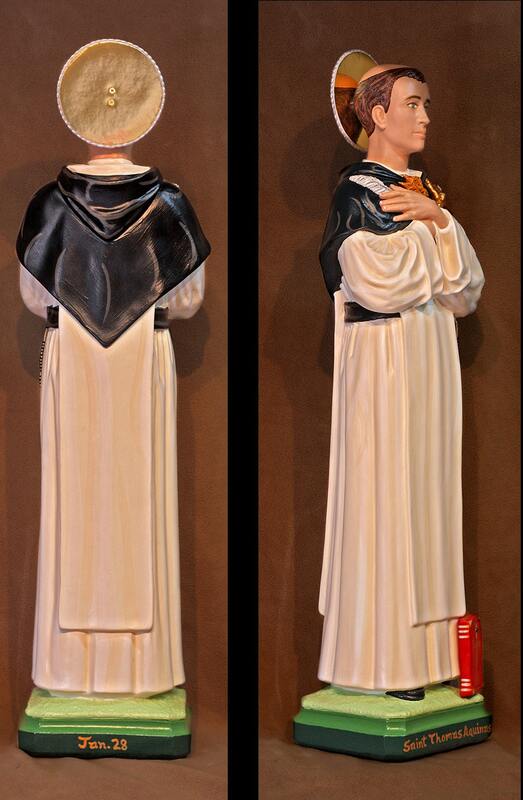 We will also touch your finished statue to a first class relic of Saint Thomas Aquinas.